A mother accused of causing the death of a blind pensioner who walked out of a pub and into the path of her car was cleared of blame after a day of evidence. 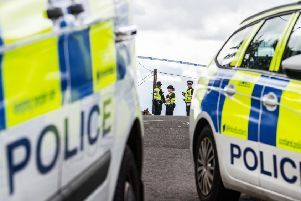 Jill Cowan (41) was accused of failing to notice Alan Morton as he crossed the road outside the 1314 Inn in Whins of Milton, Stirling, beside the Battle of Bannockburn Visitor Centre. He died of his injuries in hospital a day after the collision, which occurred at 11.40 pm on December 16, 2015. But Stirling Sheriff Court heard on Monday that Mrs Cowan would have had just two seconds to spot Mr Morton and avoid him after he stepped off the pavement on a comparatively poorly-lit section of road, and her vision could have been compromised by the glare from the headlamps of a car that was coming the other way. The court was shown a video of a police reconstruction of the run-up to the accident, intended to show how Mr Morton, who was wearing a white cap and carrying a white stick, would have been visible to an approaching motorist. But Sheriff Wyllie Robertson said that when he saw the film, he had “hardly noticed” the pedestrian on the dark side of the road in the reconstruction. He formally found Mrs Cowan, of South Queensferry, not guilty of causing death by careless driving. The move came after prosecutor Robert Mooney said the Crown was no longer seeking a conviction. Mr Mooney, the depute fiscal, said he had taken the decision after listening to the evidence and “spending all day trying to decide what may or may not have happened during a two-second space and considering the video reconstruction again”. He said was not going to make any observations about the evidence, was “rather surprised” by comment by the fiscal, who said earlier that some sheriffs might be displeased by the Crown taking a decision like the one he had taken on the grounds that doing so might “take the decision away from the court”. During the trial, pub regular Richard Tasker (44), a Stirling Council recycling worker, said he had been standing outside the front of the pub, having a smoke, when Mr Morton left. He said Mr Morton, who was also a regular at the 1314, had drunk three to four cans of beer, but was “just his normal self”. Mr Tasker said he then finished his cigarette and had just turned to go back into the pub when the impact occurred. He said road lighting at the spot had changed from “quite good lighting to quite poor lighting” a few years ago when new LED lamposts had been installed. The court heard that Mrs Cowan’s car white Kia Picanto Vr7 was travelling at the speed limit when Mr Morton walked into its path and was stuck. He suffered multiple injuries.